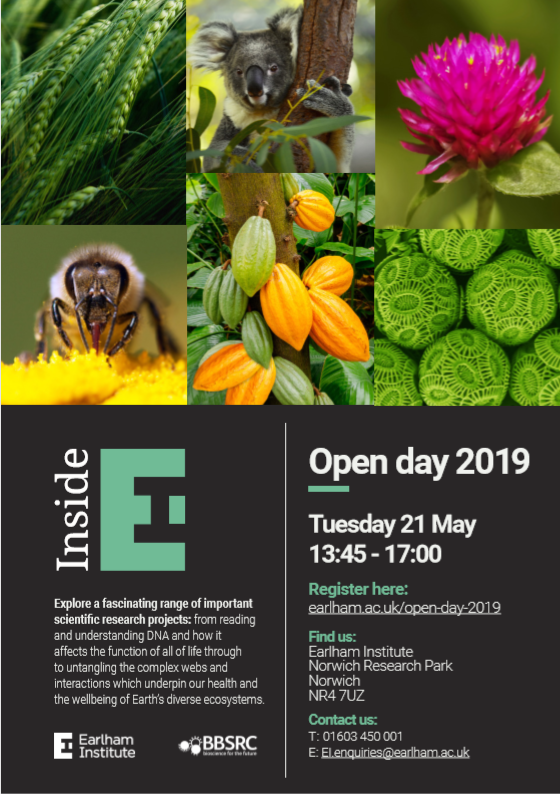 Hosted at Earlham Institute on the Norwich Research Park, UK, enjoy visiting our world-class bioscience facilities and discover our exceptional research laboratories, latest techologies and the talented people that work here to facilitate exploring and decoding living systems. We will open up our labs on the day, which will give you a chance to see some of the most cutting edge equipment available to life scientists today. In our Genomics Pipelines lab, we have each and every one of the most up to date DNA sequencing machines on the market, which allow us to sequence a staggeringly high amount of genetic material. In the DNA Foundry and Synthetic Biology labs, you can see how we are able to not only understand life better, but bring an engineering-based approach to how we solve some of biology’s greatest issues. In addition to this packed schedule, full of interesting insights, our experienced and excellent scientists will be putting on a range of talks, where you can hear more about their research looking into the breadth of life and all of its surprises. Registration closes 30 April 2019.